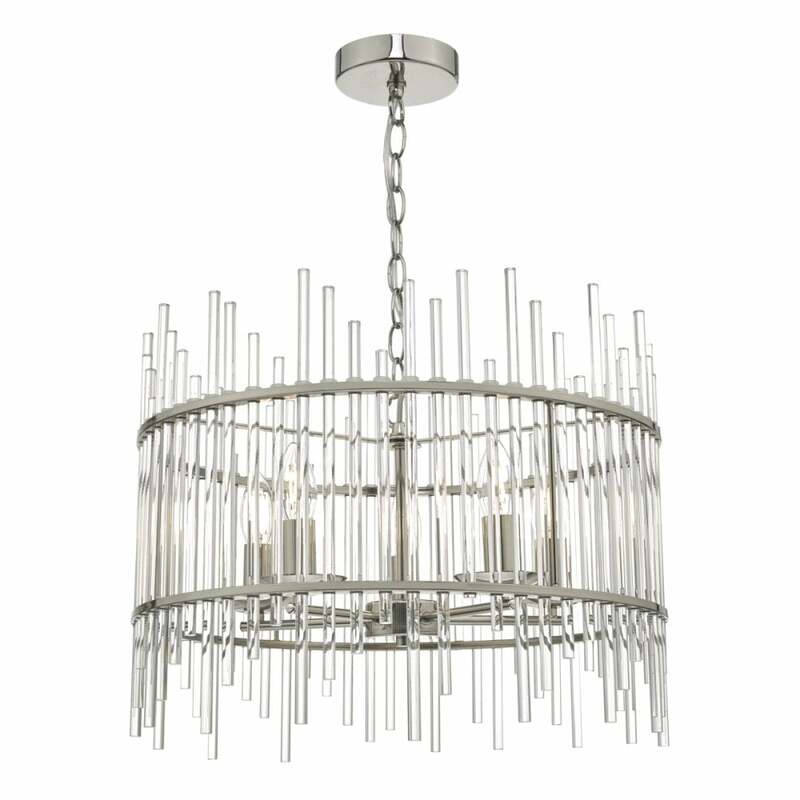 A decorative 5 light chandelier in a polished nickel finish with glass rod detail. The light is suspended on a chain suspension which can be shortened at the point of installation for those with lower ceilings. It is double insulated for safe use without need of an earth wire and is suitable for use on a dimmer switch providing the bulbs used are also dimmable. This would look great over a dining room table or in a lounge of a contemporary setting.